Avtrade is pleased to announce the appointment of Toby Smith as Regional Sales Director. 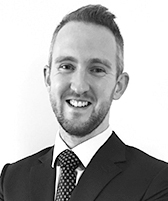 Toby joined Avtrade in 2008 as a Sales Administrator, achieving rapid progressions to Team Leader. His commitment and enthusiasm contributing to the phenomenal sales growth and development of customer relations within Europe, particularly Turkey and Italy. In 2013 Toby further advanced his career with Avtrade by relocating to the Singapore office. As Regional Sales Manager, Toby has developed an in depth understanding of aviation requirements specific to the region, whilst helping to grow the Singapore team and playing an instrumental role in Avtrade’s increasing presence in Asia. As Regional Sales Director, Toby is now responsible for leading the team, business development, sales and growing strong customer relationships throughout the Asia region.